Viewing a thread - 1958 Dodge front u-joint dust boot. 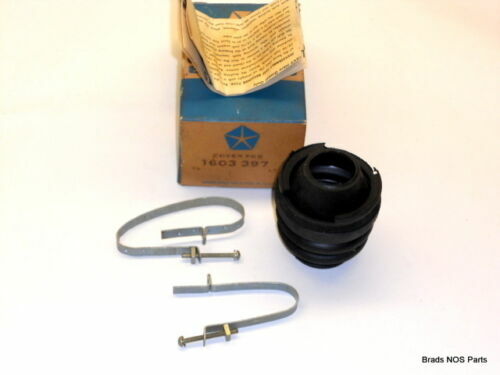 1958 Dodge front u-joint dust boot. Subject: 1958 Dodge front u-joint dust boot. I need a front u-joint dust boot for a 1958 Dodge Coronet 6cyl. PowerFlite. I've done some searching but not clear on which modern CV boot would work. I've purchased two in the last 10k miles from a well known vendor and was hoping for a little more mileage/years out of something than what I've been getting. Any recommendations for where to get a lasting original style? Anybody selling a leather dust cover? I had leather dust boots on my 1938 Dodge RC for 1000's of miles with no problems. The rubber ones make quite a brief,startling noise when they let loose a 60 mph. 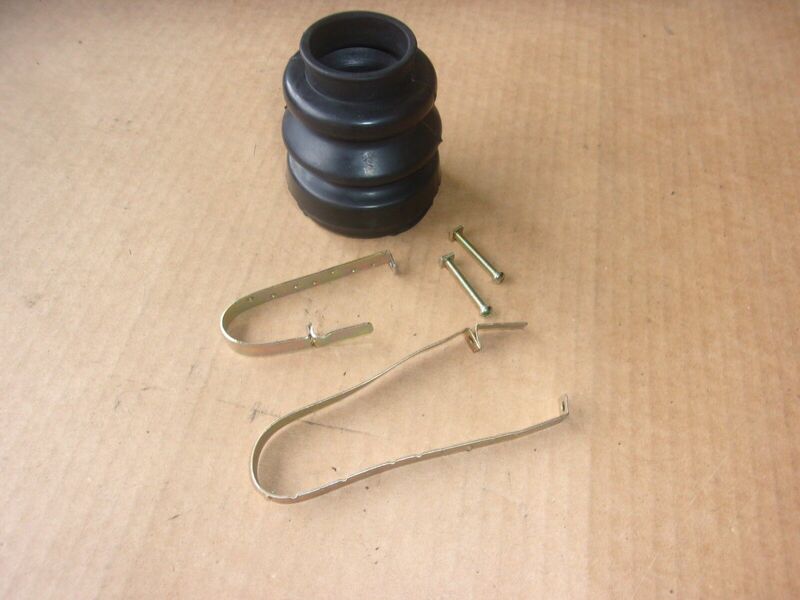 Subject: RE: 1958 Dodge front u-joint dust boot. Location: Lower Mainland BC I would say that you are looking for 1603 397 dust cover based on the info below. There are a few NOS ones on eBay. Just remember that rubber deteriorates sitting in a box due to things like ground level ozone, etc. Location: NorCal In those threads from the past, folks are recommending part numbers for replacement boots without mentioning whether they're for the large boot or the small one. In those threads from the past, folks are recommending part numbers for replacement boots without mentioning whether they're for the large boot or the small one. They are also for a 1955-56 model year when I have a 1958 and don't know if they're the same. Location: Lower Mainland BC I had a look at what else might apply and it might be the 1450 448 dust cover. There is one on eBay at the moment and when I checked whether it would work on a 1958 Coronet 6 cyl, it answered "Yes".